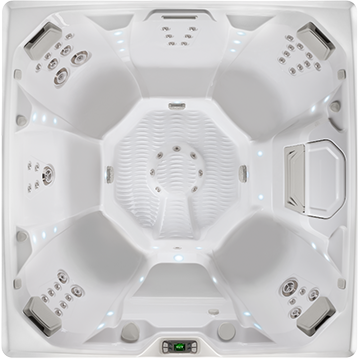 The Flash hot tub from the Limelight® collection is designed to fit seven adults with this open-seat design. The Flash features comfortable seats with 41 powerful, targeted jets to help alleviate body pain from your shoulders all the way to your toes. 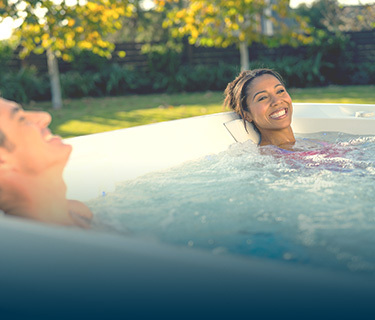 As part of the Limelight® Collection, the Flash spa includes FiberCor® insulation and additional Energy Smart® features to give you the best value over time. 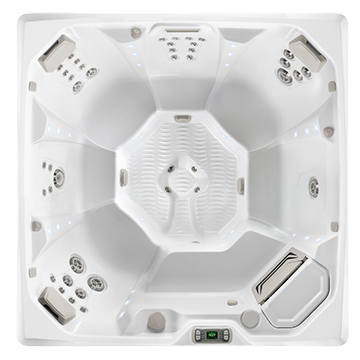 Own This Hot Tub For As Little As $/mo. 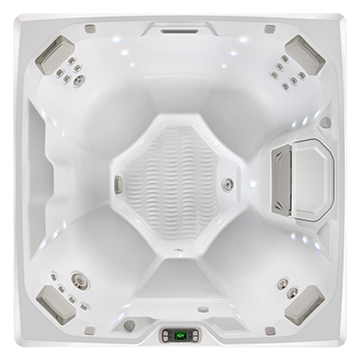 Absolutely loving our Limelight Series Flash from Hotspring Spas of Kansas City. 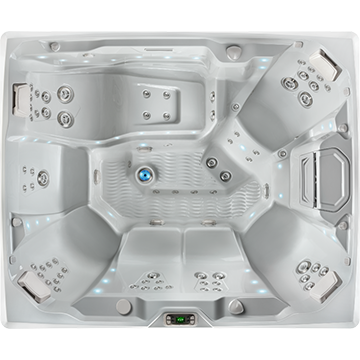 We love the new design of the Limelight Series Series, especially the exterior lighting although I do wish it had lighting on all 4 corners and along the base as opposed to just the 2 front corners. The large step/bench at the entry point of the tub was also a big selling point for us. With the design of the Flash and many other Limelight Series tubs you actually have several spots where you can set down a drink, phone, baby monitor, etc…. I’m not sure if this was intentional or not but is definitely something that adds to the functionality of the Limelight Series series over others. 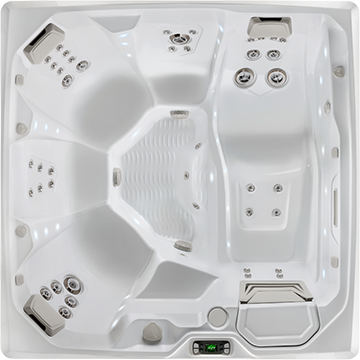 Like anything, you can always find something that you would have done differently or wish you could change but, overall we are extremely satisfied with the tub and the service from Hot Spring Spas of Kansas City. Had the Flash spa for one week now and our family loves it. Perfect size for 4 people. Easy setup and maintenance and great price for the quality you get.